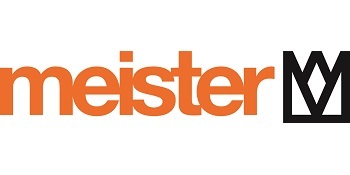 Discover Meister’s filled tool cases for use around the house, garage or workshop. 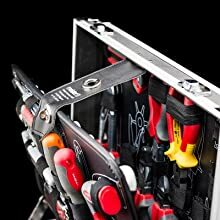 With the 129-part tool case from Meister, you will receive an adequately positioned assortment. 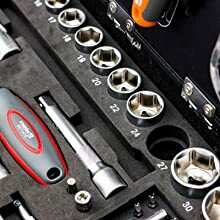 The tools range from side cutters, locksmith’s hammer and screwdrivers to precision tools, bit and key sets. Whether for the workshop, the garage or the household: The selected products can be used in all areas of application and are suitable for a wide range of applications, from precision mechanics to assembly. The high-quality aluminum case is provided with edges and additional corner protection. In addition, it has a comfort carrying handle, which makes it easy to carry. Safely packaged, your tools will always find a place in it and can be easily and conveniently stowed away. 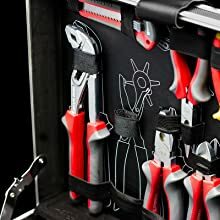 Inside the suitcase, every tool has its own place and with the aid of the contours shown, you can find it again at any time. 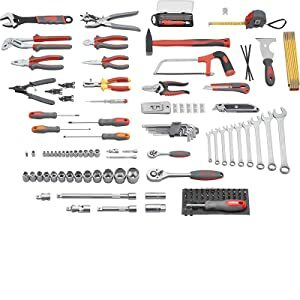 In addition, Velcro and rubber bands ensure a stable hold of your tool. The lower part of the suitcase is equipped with an extra soft EVA foam insert. This ensures that the embedded tool remains in place while the case is being transported. 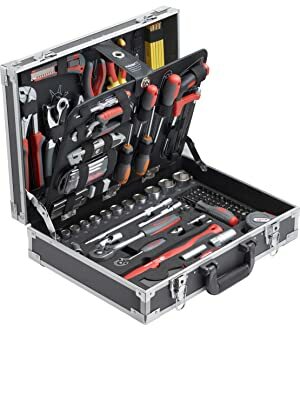 The practical intermediate insert inside the case makes it possible to compactly accommodate the extensive range of tools. 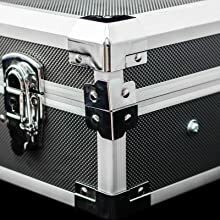 If the tool from the lower part of the case is needed, the insert can be fixed on the side with the help of the sturdy holders.